Fresh faced and fun, Zoe is sophisticated but playful. 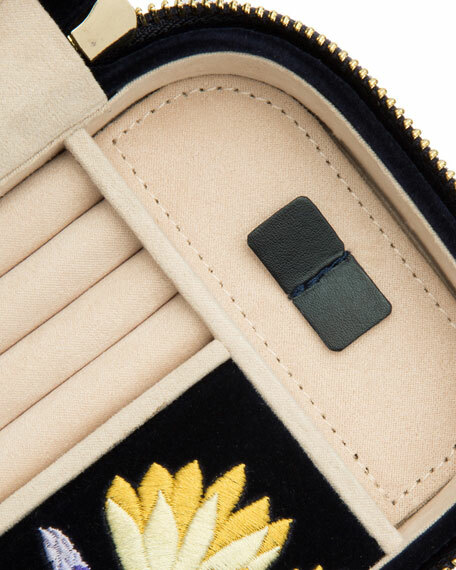 Organize your jewelry on-the-go with the feminine yet functional Zoe Travel Zip Case. Includes indigo velvet exterior, LusterLoc and mirror. 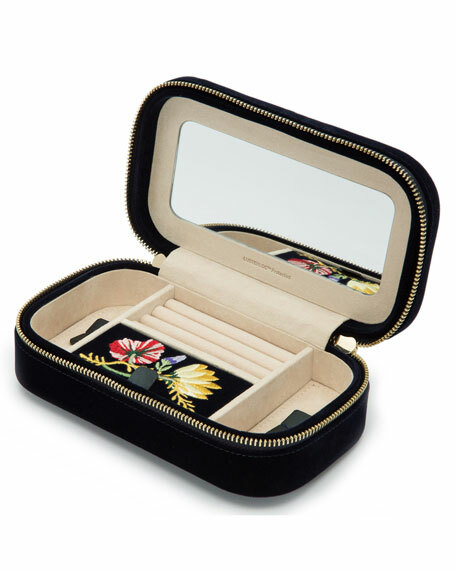 Handcrafted velvet jewelry case with floral embroidery. 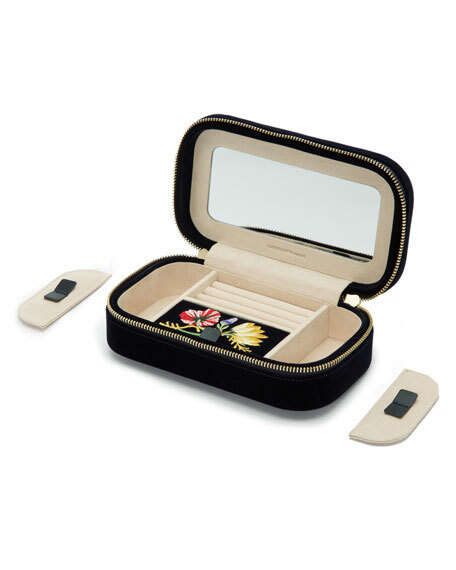 Storage: mirror, three ring rolls, one medium compartment with cover, and two small compartments.